The third quarter was a nightmare for most investors, but the disappointing three-month period is behind us and investors are now focusing on the much more promising fourth quarter. The bull market has resumed its course, though it is not entirely clear for how long it will last. The current round of 13F filings kicked off at the beginning of October, and most of these public filings reveal high-potential stocks for the upcoming quarters and years. With this in mind, the following article will discuss the top five stock picks of Trellus Management Company LLC at the end of the third quarter. Trellus Management is an equity hedge fund established by Adam Usdan back in 1994, a man who had previously worked at Odyssey Partners as the portfolio manager of its small-mid cap equity portfolios. Let’s proceed with our discussion and attempt to pinpoint great buying opportunities that are buried inside Trellus Management’s most up-to-date 13F filing. 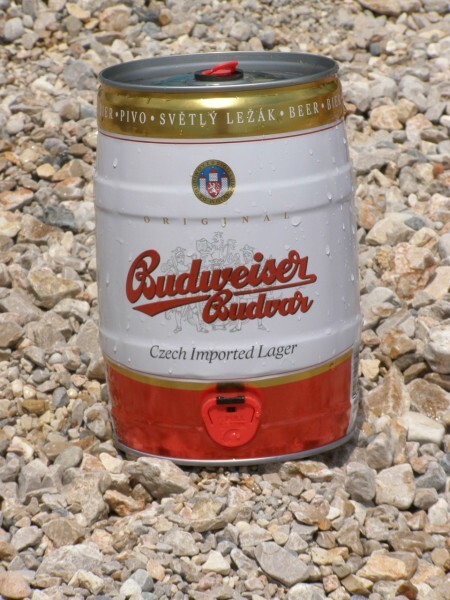 Anheuser Busch Inbev SA (ADR) (NYSE:BUD) represents a new position in Trellus Management’s portfolio. The beer maker has seen its shares gain 6% year-to-date despite suffering a disappointing third quarter in terms of stock performance. On Friday, the company reported third quarter revenue of $11.38 billion, compared to $12.24 billion posted a year ago. At the same time, the sales growth of its main brands, such as Stella Artois and Corona, lessened some of the worries that its supremacy has been seriously challenged by craft beers. In fact, Anheuser Busch Inbev’s three main brands delivered revenue growth of 15.9% year-over-year. The company also updated its guidance on revenue growth, mentioning that it anticipates the overall revenue growth to exceed the inflation rate. Eric W. Mandelblatt’s Soroban Capital Partners was the top equity holder of Anheuser Busch Inbev SA (ADR) (NYSE:BUD) within our database at the end of the second quarter, holding 7.45 million shares. Trellus Management held its position in Vicor Corp (NASDAQ:VICR) unchanged during the third quarter at 154,125 shares. The shares of the manufacturer of high efficiency power conversion products and systems have been on a steady decline since mid-April and are down by 20% year-to-date. Earlier this week, the company announced its financial results for the third quarter, posting revenues of $48.66 million, which decreased from $58.40 million a year ago. Even so, Vicor managed to deliver a net income of $2.50 million, compared to a net loss of $3.67 million registered last year. The company’s management also expects substantial revenue growth in the upcoming year, thanks to the roll-out of new products and solutions. Richard Mashaal’s RIMA Senvest Management owned nearly 582,000 shares in Vicor Corp (NASDAQ:VICR) on June 30. Three under-the-radar stocks that Trellus Management thinks highly of are uncovered on the next page.